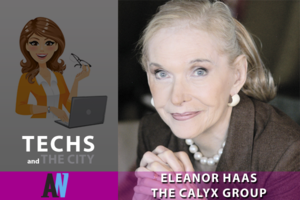 Today we hear from Eleanor Haas, Managing Director of The Calyx Group, which, for more than 25 years, has helped both early stage and Fortune 500 companies to achieve sustainable growth primarily in B2B services related to technology, publishing and information services, financial services and marketing services, by helping those companies to develop successful new revenue streams, new products, new customers and new businesses. 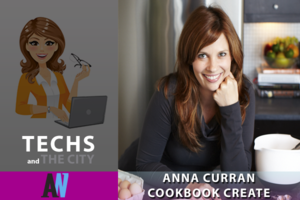 Today we hear from Anna Curran, organizer, facilitator, mentor extraordinaire, and Founder and CEO of Cookbook Create, a site that allows you to turn your recipes into a printed cookbook, then to share them or keep them private. 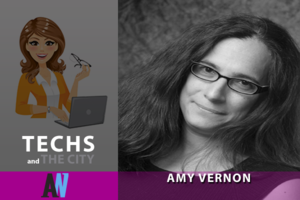 Today we hear from Amy Vernon, a 20-year veteran of newspaper journalism and top female submitter of all time on the late Digg.com, Amy Vernon is sought-after for advice on how to navigate the social web and has consulted to a wide variety of clients, from tech startups to international media organizations, on how to harness their community, develop shareable content and put in place best practices in their digital strategy. 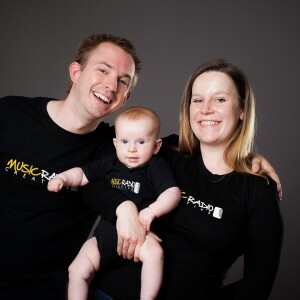 Vernon has blogged for many sites, including VentureBeat, The Next Web, Network World, AlleyWatch and Discovery.com’s Parentables, and has driven literally millions of page views through her work.